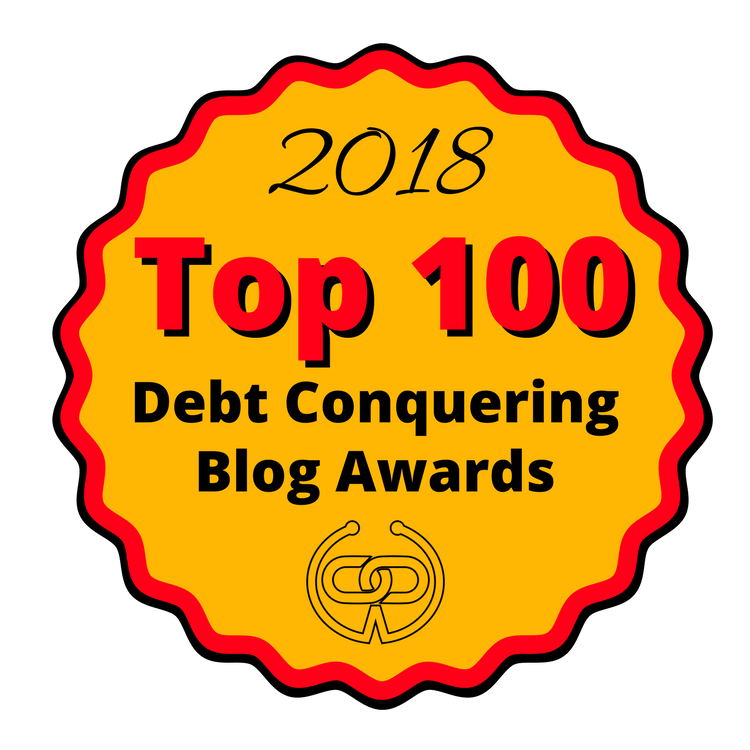 This blog post is part of the Pay Down My Debt blog tour, sponsored by US Equity Advantage. PDMD is a solution that accelerates debt payoff and helps consumers monitor their credit and make smarter purchasing decisions. If you’re looking to pay off debt find out how they can help. Paying off debt is no easy feat and despite everything you hear about some people being able to pay off massive amounts of debt in short periods of time, those circumstances are super inspiring because they’re not the norm. For many of us, it takes time to change bad habits, get our finances in order, and tackle our debt in order to become debt free. I’ve been on an aggressive debt repayment journey for almost three years now and I’m hoping that by the end of this year, I’ll have $30,000 of debt paid off. The bulk of my debt comes from student loan debt and it wasn’t easy getting to the point I’m at currently of only having $7,000 in student loans left. I worked hard to earn extra money and it felt good to make payments on my debt each month and see the balance decrease. But I also lost motivation so many times, got completely burnt out, and felt tempted to splurge and do other things with my money. However, there were two really easy things I did to remain on track and pay off my debt as fast as possible. Accountability has been a big factor that’s contributed to my debt payoff success. I used to always set goals that I’d never meet and I realized that I was failing because I wasn’t being held accountable for my actions. It’s been great to talk to other people about my debt, share my progress and goals, then discuss my failures and successes along the way. If you don’t integrate accountability into your debt repayment journey, it’s probably going to be a long and stressful journey. Being held accountable can help motivate you not to slack off and give up since you know you’ll have to answer to someone or something later. In term’s of making frequent payments, that has helped bring the numbers down much quicker than if I had just been making minimum monthly payments which wouldn’t allow me to put extra money toward my debt. I’m big on paying as little interest as possible on my debt so I use the avalanche method to make extra payments on the debt with the highest interest rate first, then I work my way down. Paying more than once a month on my debt helped my husband and I crush more than $14,000 of debt just in one year. Making frequent debt payments requires a strategy if you want to reduce the amount of interest you have to pay. First, you need to look at your budget and determine how much extra you can afford to put toward your debt each month. Maybe getting a side hustle can help. Then, you need to look at the terms and conditions for your loan(s) and set up payments. It can be confusing to figure out how much money is going toward interest and your principal balance each month and determine a payment schedule that will minimize the amount of interest you pay over time. On the bright side, there’s a helpful service called Pay Down My Debt that can help you do this automatically. Pay Down My Debt is an accelerated debt repayment service that helps you set up automatic bi-weekly/bi-monthly payments to help you pay down your debt. You can use this service to pay down student loan debt, high-interest credit card debt, your mortgage, and other loans. This service is just $10 per month and helps you make frequent automatic payments to reduce your debt balance faster so you can pay less interest. Pay Down My Debt connects to your account to make payments on your behalf according to the terms of each of your loans. With this service, you don’t have to worry about missing payments anymore or throwing tons of money away in interest. Plus, users also get credit monitoring included so you can improve your credit score. If you’re looking for ways to establish some accountability on your journey, there are plenty of options to help you stay on track. Get an accountability partner: Find a trusted individual who you can team up with either in person or online so you can each share goals and struggles surrounding paying off your debt. Preferrably, you should connect with someone who is in a similar situation as you so you can both encourage each other to succeed. Start a blog: Another option you have is starting a blog to share your story and be held accountable for your progress. This was my initial intention when it came to starting My Debt Epiphany. I wanted to share my experiences and obstacles with paying off debt with others and post my progress so I could always look back on it in the future. If you’re interested in starting your own blog to document your journey, feel free to check out my step-by-step tutorial that will guide you through the process of setting everything up. Work with your spouse or partner: If you have a spouse or a partner, they could be a good person to hold you accountable especially if you’re working on your financial goals together. When my husband and I worked together to pay off his credit card debt, we both encouraged each other to stop using our credit cards and held monthly money meetings to go over our progress. If you’re eager to stay focused on your debt payoff journey over the next few years, I’d highly recommend trying out these two methods that will contribute to your success. Have you tried accountability and making frequent payments on your debt? It’s really cool how even a small extra payment towards your debt can make you feel so good. For most, debt paydown is a long journey. You have to find small wins here and there to stay motivated. Small wins definitely keep me motivated while on my debt repayment journey.